A 22-year-old man simply identified as Emmanuel, reportedly went to ease himself in the early hours of Tuesday, leaving his father and sister inside their one-room apartment. 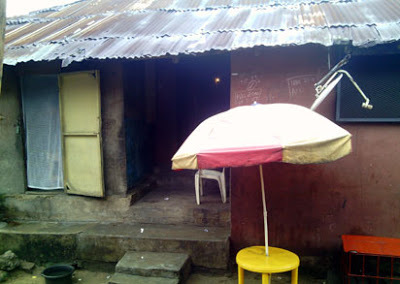 His sister, who had waited for his return, went to check on him in the toilet situated at the boys quarters of the building on Alafia Street. She reportedly found her brother on fire on the ground which made her raise an alarm, which attracted tenants. They rushed him to 2 hospitals which were said to have rejected Emmanuel. He reportedly died before he could get proper help. While the deceased’s family alleged that Emmanuel was set ablaze by the landlady and her children, the latter, who is on the run, alleged that the former intended to set the building ablaze but was caught in his own web. Investigation revealed that there had been a lingering disagreement between Emmanuel’s family and the landlady. It was gathered that both parties had been to the Ajeromi Police Station several times to settle quarrels in the past. A resident, who spoke on strict condition of anonymity blamed policemen at Ajeromi for not preventing Emmanuel’s death. “I blame policemen at Ajeromi for the death of this young man. Emmanuel’s father and the landlady have reported their misunderstandings to the police several times. Nothing was done to bring a lasting solution to the quarrel. Had they acted when they were supposed to, this would not have happened.” “I woke up with the alarm raised by some tenants that night. We were told that it was the deceased that lit the fire. Police sources said the landlady, whose identity could not be immediately ascertained, is currently on the run, adding that effort was on to apprehend her with a view to commencing investigation into the matter. Operatives at the homicide section of the State Criminal Intelligence and Investigations Department, SCIID, Yaba are currently investigating the matter.